KDrama fans rejoice! Finally, a review post from your fellow KDrama fan! If you have read my 2016 year-end post, I promised to write this one, and yes, promises are meant to be kept. Actually, I finished watching everything last January. 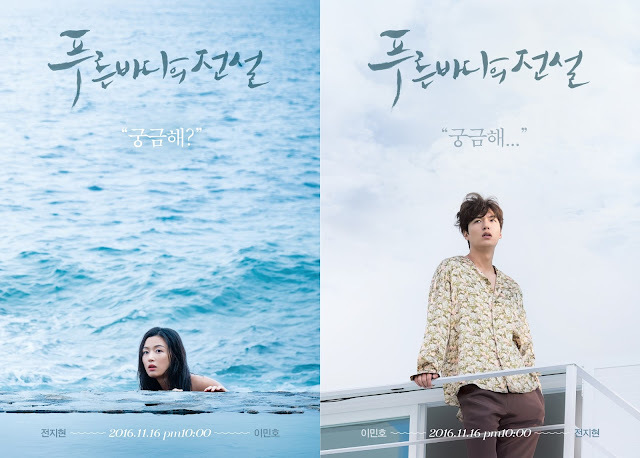 The Legend of the Blue Sea was the last Korean Drama I finished as of this time, because the two (2) other dramas I watched simultaneously with it only lasted 16 episodes (Weightlifting Fairy Kim Bok Joo and Goblin. Yay!). 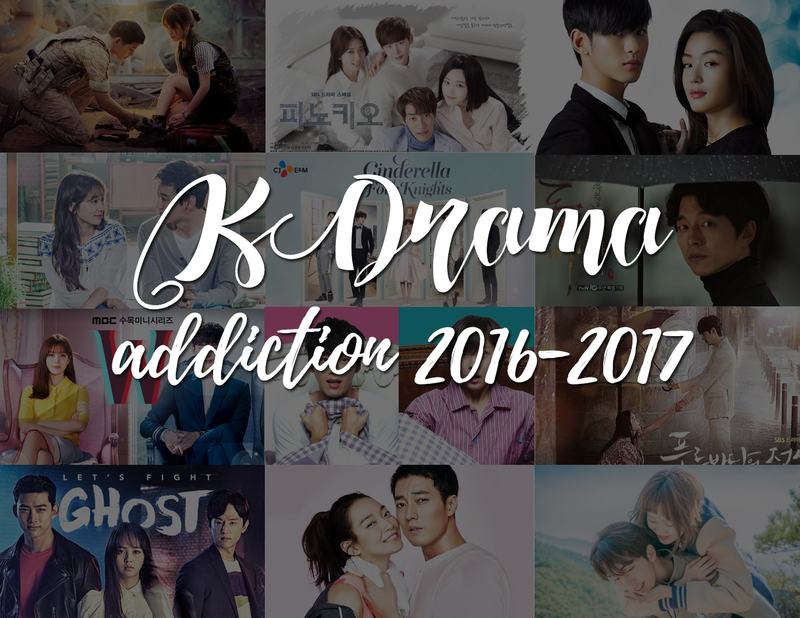 It was not until now that I have the inspiration and the time to write this, so brace yourselves for a comprehensive review on all Korean Dramas I watched and finished! Yes, the ever popular Descendants of the Sun. This is the Korean Drama that gave me a jump start to watch all other Korean Dramas. This was the buzz during my review days last April, and it took a lot of willpower to wait until the end of our reviews for me to finally watch this so that I won't get distracted, because everyone's saying it's really good, and yes, they're indeed right. This is a love story between a soldier, Captain Yoo Si Jin, and a doctor, Dr. Kang Mo-Yeon, played by Song Joong-Ki and Song Hye Kyo, respectively, who're facing challenges to make their love work despite the diversified nature of their jobs. Everything is top notch! From their chemistry, acting, cinematography, and a lot more! This is a drama full of thrills and emotions, and I like how this drama has a great balance of everything, from romance to comedy, and some action. If you're getting started in watching Korean Dramas, this is one of the best ones to watch first! 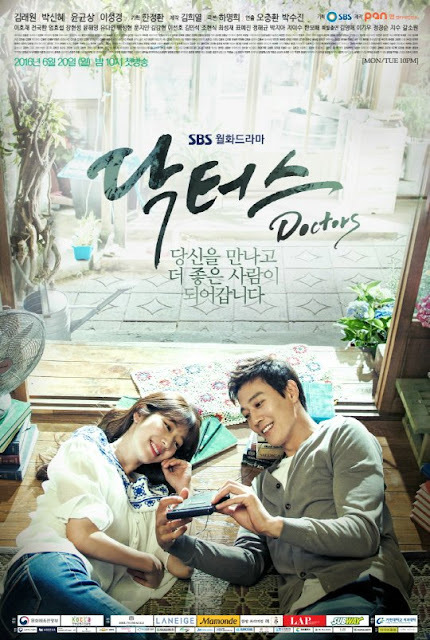 Doctors, or Doctor Crush, is a medical Korean drama that focuses on resiliency and forgiveness. I decided to watch this one because the trailer, which was circulating on Facebook just in time when I finished watching Descendants of the Sun, caught my interest. The trailer shows a tough doctor, Dr. Yoo Hye-Jung, played by Park Shin Hye (who was one of the actresses that I got interested in because I keep hearing her name when it comes to Korean dramas featured in the Philippines), beating up bad guys at the hospital, who turned out to be a high school gangster as well in the past. Since I was in a mood for some action series with a tough girl fighting, I thought that this will be a good drama to watch, and yes, I was not disappointed. Not only does this involve girl power (yay! ), you can actually learn a lot of values and true to life lessons here. I learned that there are indeed people we meet who come into our lives to teach us something that we may have been missing. This drama also teaches us about how forgiveness should be preferred over revenge, and how someone can really change you and your perception in life. If you're in the mood for some self-reflection regarding these things, this is the drama I can recommend to you! 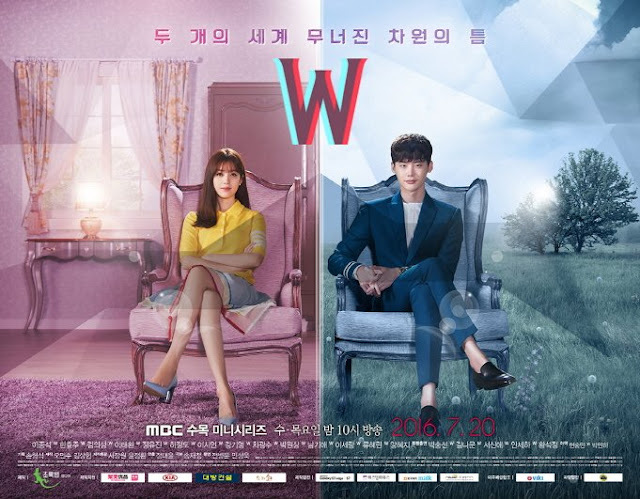 W Two Worlds is a drama full of suspense and unpredictability. The first time I encountered this drama through drama suggestions on the website where I watch these, I thought this drama would just be another typical love story, as how I see it based on the promotional poster (hello, Han Hyo Joo and Lee Jong Suk! ), but I was dead wrong. The first episode was a killer one, I tell you. When you watch this drama, twists and unpredictable happenings will really haunt you to the core. Each episode ending will leave you hanging, and it seems like you won't have peace within yourself until you'll know what happens in the finale. Since I am someone who likes reading next-episode-theories, I should know that none of the fan theories I've read ever become true. The finale wasn't that powerful for me, and I wasn't that satisfied with it, but at least all throughout the drama, I was thrilled. If you want to watch a Korean drama that's beyond your wildest imagination, this is the one you should watch! 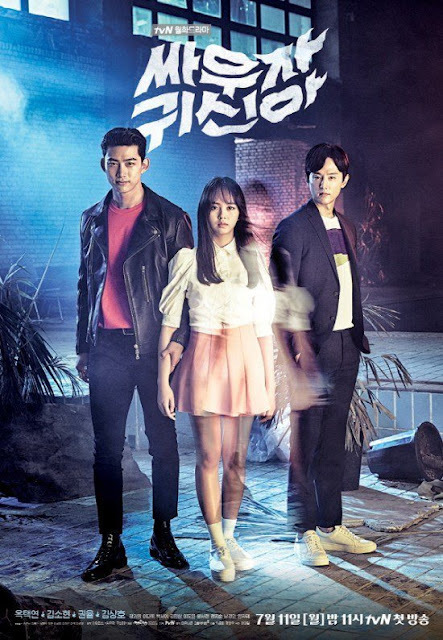 Let's Fight Ghost is a horror KDrama series filled with comedy, mystery, romance, and lots of action. I loved how cute Kim So Hyun is in this drama, and how her character and Ok Taecyon's character progressed their relationship into a romantic one, even after Kim Hyun Ji (Kim So Hyun) lost her memories of all those moments when she woke up from the coma, because apparently she was not a ghost but a lingering spirit following Park Bong Pal around with hopes of getting back her memories of the accident (Oops, spoiler!). Joo Hye Sung is one evil character, and I hated him a lot, but I do applaud the actor (Kwon Yul) for being able to portray the character well. I think that what makes a character good is when he/she has the ability to make the viewers really hate him/her or love him/her. I simultaneously watched this drama along with W Two Worlds, and it was hard to choose between which one I would watch first for the day with the fear of not getting over either of it before I sleep. I am just thankful that Let's Fight Ghost is filled with comedy, and it isn't much of a scary drama at all, unless you really have a faint heart. This kind of reminded me of Peemak (a Thai movie with multiple genres), where your emotions would be in a roller coaster because one moment it's scary, and the next thing you know, you're already laughing. I just love films that are like that. Pinocchio is a 2014 Korean drama that even until now would be so relevant to our situation today when it comes to the media, especially in our country. But then it wasn't until I watched this drama that I realized it also happens in South Korea. 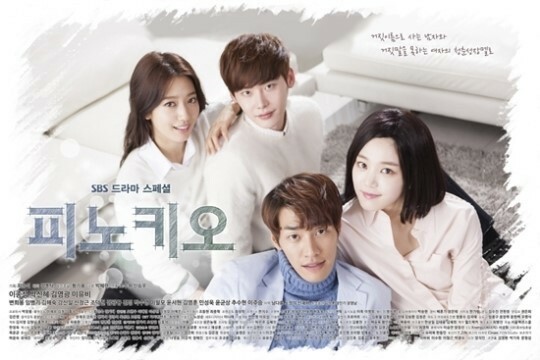 It showed the rivalry between networks, the effects of whistle-blowing, the tactics of the media to twist the truth in order to catch the attention of the listeners and viewers, and how the two main characters, Choi Dal Po/Ki Ha Myung (Lee Jong Suk) and Choi In Ha (Park Shin Hye) defy the media stereotype in a way that they fought for the truth to be broadcasted to give justice to those who have been wronged by the false accusations against them. This drama showed how the media really does have the power to either destroy lives or to worship those they want to worship. 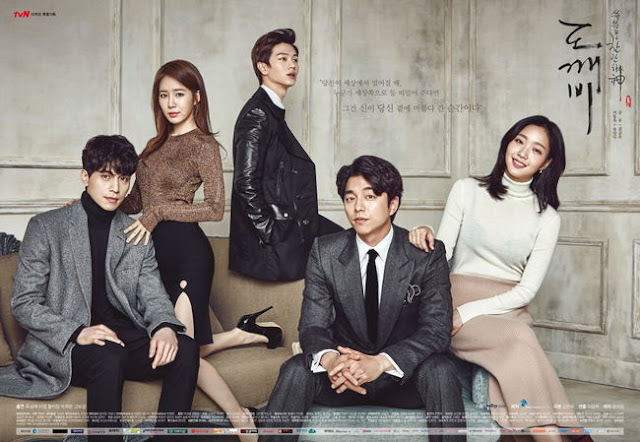 I love the drama not only because of the plot, but for the reason that some of my favorite actors are in it, with Park Shin Hye, Lee Jong Suk, and Yoon Kyun Sang (who plays Choi Dal Po/Ki Ha Myung's brother Ki Jae Myung who wanted revenge for what has been done to their family in the past). This is one of those dramas that you could definitely learn a lot and be enlightened about the lives of each profession, in this case, the work of journalists. If you want to either confirm or have a different outlook on what the media is like, you should watch this. 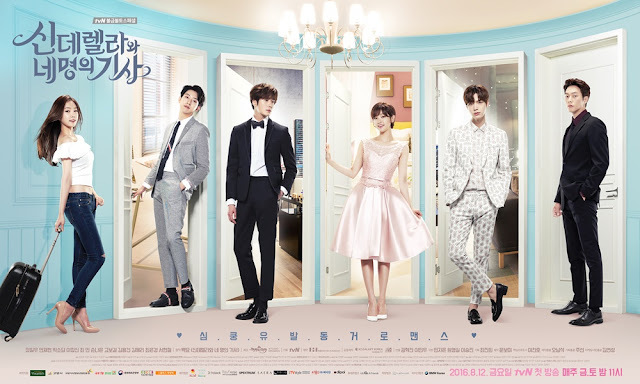 Cinderella and Four Knights is a romantic comedy Korean Drama that revolves around the life of a poor girl, the "Cinderella" in this drama, Eun Ha Won (Park So Dam) who happens to cross roads with 4 knights - the 3 Kangs - Kang Ji Woon (Jung Il Woo), Kang Hyun Min (Ahn Jae Hyun), and Kang Seo Woo (Lee Jung Shin) who are chaebol heirs and their secretary, Lee Yoon Sung (Choi Min), then there's Park Hye Ji (Song Na Eun) who's a childhood friend of Kang Hyun Min which the latter constantly pushes away. Well, to tell you honestly, the first episodes of this drama are kinda boring, but I can say that it progresses well at the last episodes since I was in awe in how everything just connected with each other and how fate really plays a role between the characters, especially with Eun Ha Won and Kang Ji Woon. This is one of those typical rich man-poor girl dramas with twists, but come to think of it, this also reminds me of Secret Garden, only that there are more guys, and this doesn't involve much action. Haha! This drama wasn't really my type, but at the ending here is awesome. If you are someone who's patient in watching Korean Dramas as they progress no matter how slow they are, you might consider this one. Secret Garden is a romcom fantasy drama that revolves around the switching of bodies between a stunt-woman, Gil Ra Im (Ha Ji Won), and a high-end department store CEO, Kim Joo Woon (Hyun Bin). This was highly recommended by a close friend, which was why I decided to watch it, and well, it did not disappoint. In this drama, I only got enlightened about everything when it came to the 6th episode, so I can pretty much say that this one progresses slowly as well. I guess this one's a tactic for some Korean Dramas so that the viewers would stay for long to watch, but most times it's worth it like this one. The switching of bodies between the characters was a funny twist given to this rich man-poor girl drama, and I love the unpredictability of it. No wonder this was one of the most popular Korean Dramas at the time of its release. If you want to revisit the Korean Dramas of the past, you should watch this one. Oh My Venus is a romcom fitness Korean Drama which is about the journey of Lawyer Kang Joo Eun (Shin Min Ah) to losing weight after being dumped by her ex because of it. Kim Young Hoo a.k.a John Kim (So Ji Sub) became Kang Joo Eun's personal trainer, and their relationship progresses into a romantic one. Aside from their fitness venture, the drama also revolves around the characters' internal struggles and how they overcome them, as well as how they stand by each other through the good and the bad. This one is an inspiring drama to watch, not only when it comes to losing weight. You will also learn that there are those who seem like they have everything, but in reality, they have their own struggles and insecurities too. If you need some reflection about your self worth and everyday motivation, you should watch this. 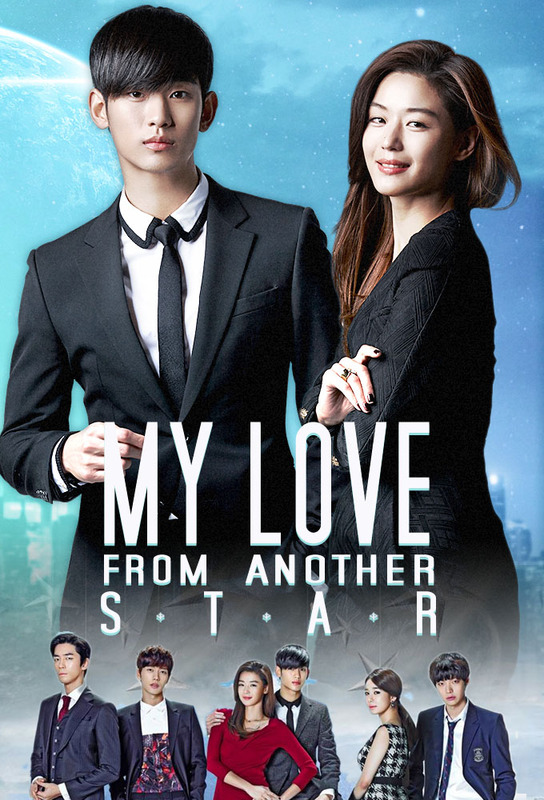 My Love from Another Star is a romcom sci-fi Korean Drama that tells the love story of an immortal alien, Do Min Joon (Kim Soo Hyun), and a hallyu actress, Cheon Song Yi (Jun Ji Hyun). Again, this was highly recommended by a friend and it did not disappoint. In this drama, Do Min Joon once saved a girl from Joseon era, the time he failed to go back to his home. He fell in love with the girl, but then she died, so it left him heartbroken. In the modern times, he once again encountered a girl who looks like the one he loved. Then, it just so happens that they met 10 years after, and just as their romance is blooming, it was his time to be brought back to his home at the stars. I didn't really like the ending because I expected a better one, but I guess Do Min Joon's fate was inevitable, so I've grown to understand that during my process of moving on from the drama. Well, this one's a good drama from 2014, and it garnered the highest ratings at the time of its release, so yes, it's worth the watch. Goblin is a romance-filled fantasy drama complete with a comedy genre. It is a story about an immortal Goblin, Kim Shin (Gong Yoo), who can only end his life by having his bride, who happens to be Ji Eun Tak (Kim Go Eun), pull out the sword out of his chest. It was supposed to be a happy moment for Kim Shin to finally have found his bride, but then, it ended up hoping he could stay longer because of their romance. Originally, I did not plan to watch this one because I'm not that much of a fan when it comes to historical dramas, but then Kim Shin and the Grim Reaper's (Lee Dong Wook) bromance is what intrigued me about the drama, that's why I decided to watch it, and wow, I was not disappointed. 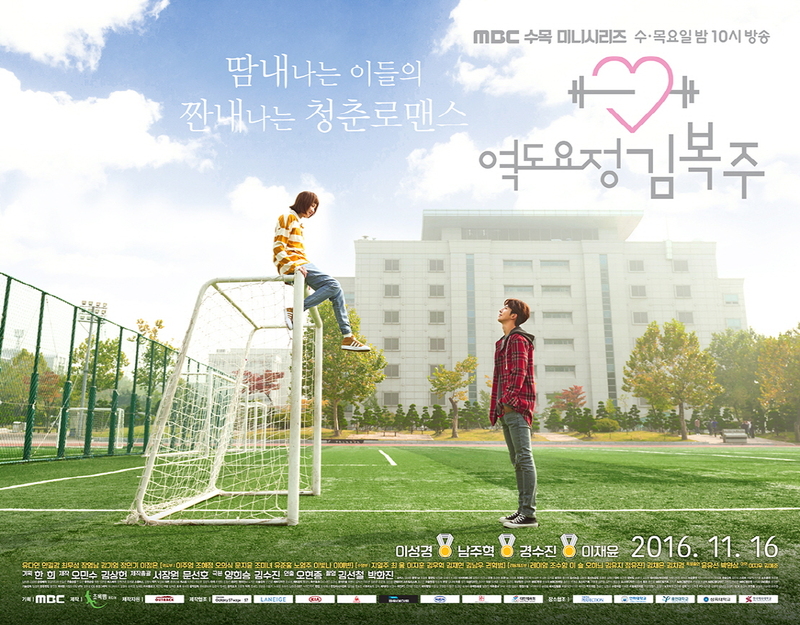 In fact, this is one of the best Korean Dramas that I have watched next to Descendants of the Sun. There was a balance of funny moments and sad moments in this drama. Also, because of the hanging endings, I just can't help but find it hard to move on from each episode and it made me find some spoilers, teasers, and fan theories so that I could at least be at ease for a bit with having a clue on what would happen next. This is a drama that will get you hooked. I also love how the writer incorporates the wonders of past lives in this drama, and yes, I love dramas that deal with things like that. In fact, I wanted to know how I was like in my past life, or how many lives has this soul within me had lived. If only it wasn't that risky as they say. Anyway, I got to admit, their love stories were sad, but the ending gives hope. But you know, the ending was a bittersweet one, and it was a powerful way to get tears from the viewers' eyes. The Legend of the Blue Sea is a romcom-filled fantasy drama starring Lee Min Ho and Jun Ji Hyun. Well, my primary reason for watching this drama was that it stars one of my celebrity crushes from Boys Over Flowers, Lee Min Ho, but aside from that, the plot interests me. It's been a long time since I watched a drama with a mermaid, so I gave it a go. Not only does this drama deal with the romance between a man and a mermaid, but also it tackles about their past lives and how they try not to make the bad things that happened that time happen again in the modern times. As expected, their romance was a rough one because of their different worlds, but then they got through with it in the end. There were some good twists in this drama, which may play with your emotions towards the characters. This is another Korean Drama that I can recommend. Weightlifting Fairy Kim Bok Joo is a story about the life of Kim Bok Joo (Lee Sung Kyung) as a weightlifter and how she explores the opportunities of her youth, particularly her love life. This is a drama about how love can affect the characters, and how it inspires them or make them better persons. I like the chemistry between weightlifter Kim Bok Joo and swimmer Jung Joon Hyung (Nam Joo Hyuk), when initially they get annoyed with each other, but later on in the drama, they began to have mutual feelings. This drama doesn't have twists. It is a light drama. So if you want to stay calm all throughout the drama, except for the lovey dovey parts, you may want to watch this. Aaaand finally I'm done! As of now I'm not that updated with Korean Dramas anymore because I would like to give it a rest for a few months, but I hope I'll get to have time to have a marathon for some new ones once again. Gaaah so many great shows! When I was 14, "Princess Hours" was hot commodity. That started it for me but when I went to college I had this Kdrama hiatus so I could focus better on my studies. Huhu. I've been catching up and I can't believe I managed to take a pause back then. These shows are just too good!